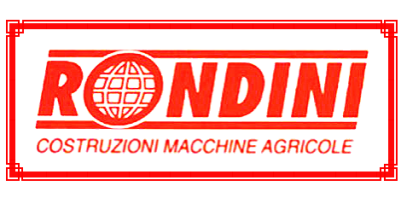 The Rondini Company was founded 30 years ago in the middle of the Po Valley, being the Agriculture cradle. By means of our many years of experience, we are firmly introduced on the world markets as Europe, North and South America, Australia, New Zealand and many Asiatic Countries to which we export approximately the 95% of our production. Versatility, duration and robustness are the winning characteristics of our fertilizer spreaders equipped with single or double disc as well as with oscillating tube. Thought and built for agricultural and gardening purposes, they are also employed in municipalities as salt spreaders and gravel spreaders on snowy or iced roads. Our goal has remained the same through the years…..our endeavour to always satisfy our Customers.